1. Write a haiku inspired by the photo and post it in the comments. The good people over at Quo Vadis have generously donated some prizes!! 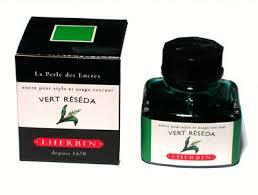 The weekly winner will receive a Quo Vadis Habana Journal and a bottle of J. Herbin ink!! Every week Relief will choose a random winner! So play along and tell your friends. See the information below for extra chances to win. Winner will be announced via Twitter Thursday afternoons. We can only ship to U.S. addresses right now. You may only win once every three months, but you may play along every week for Twitter Super Bonus Points. Would you like to have your photo featured on Photo Haiku Wednesday? You'll get a photo credit link here on the main blog and you'll also be entered in the drawing for the Quo Vadis Habana journal and bottle of J. Herbin ink the week your photo appears on the blog!